Abrasive blast systems are designed around the blast rooms. 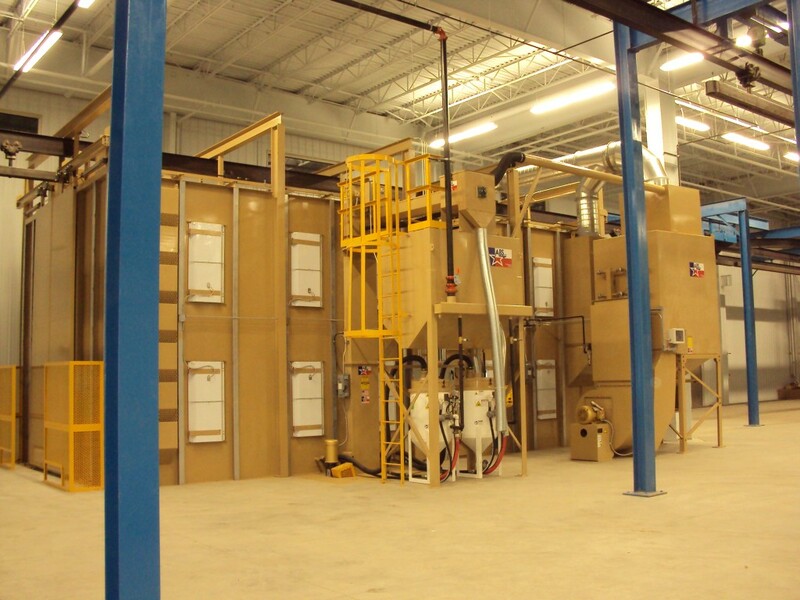 Confining abrasive blast operations to a controlled, clean environment enables efficient abrasive recycling. 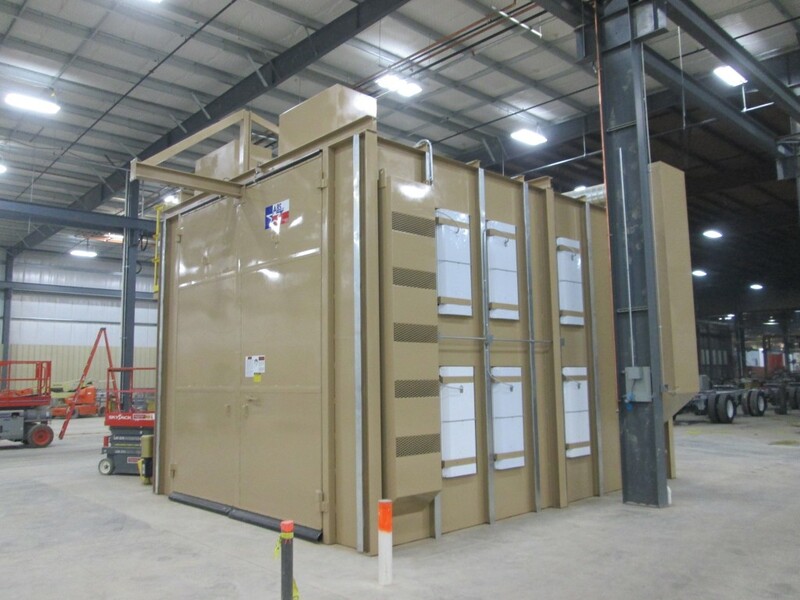 Well planned abrasive blast rooms include design details such as an amply lit work area, an abrasive reclaim floor that begins the recycling process, an abrasive transport and separation system that removes trash while returning clean abrasive to the blast tank, and a dust collector for keeping the environment clean and contaminant free. 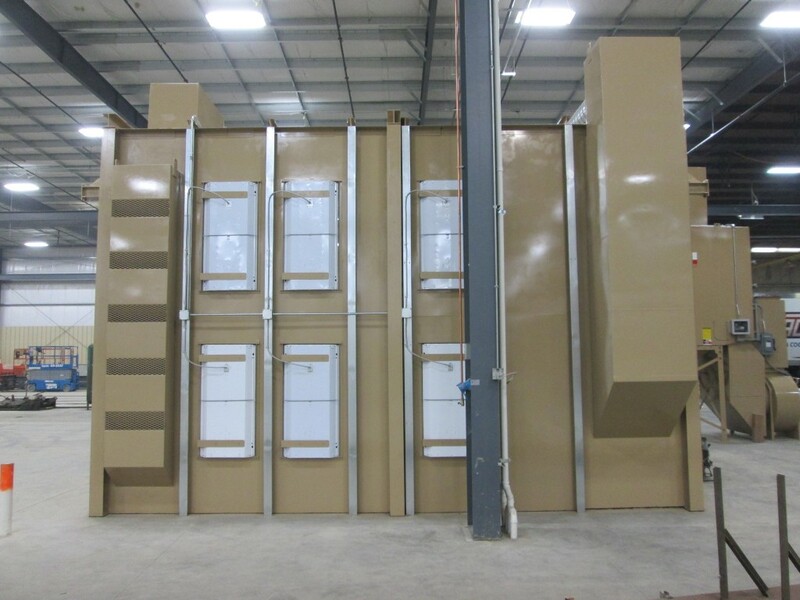 ABS Blast’s™ common sense approach to designing abrasive blast rooms begins with understanding the size of the items that will be blasted. The blast rooms should be large enough to accommodate the largest work piece and provide ample room for the blasters to work. 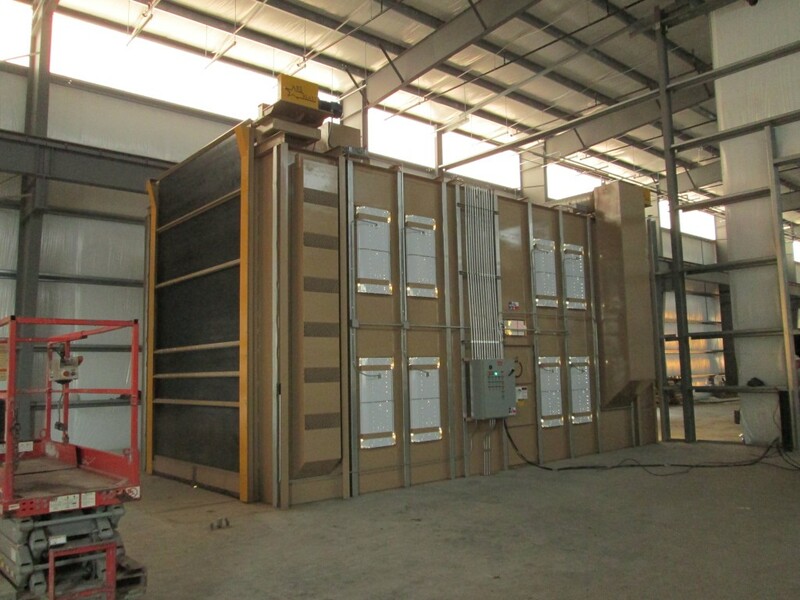 Since blast room size is proportional to dust collector airflow capacity (and the cost of the dust collector), the correct sizing of the abrasive blast room is a key factor in cost effective blast system design. 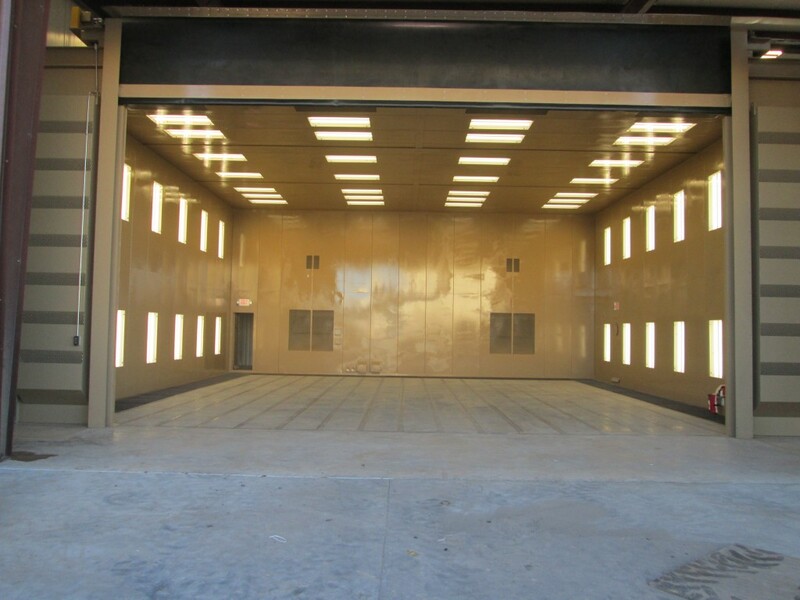 The next consideration in the design of abrasive blast rooms, is the anticipated production demand on the operation. 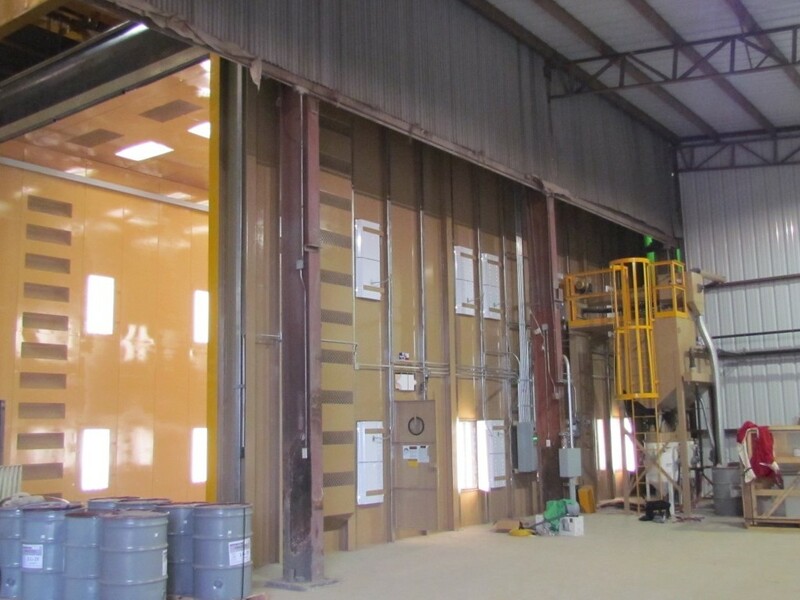 High volume production abrasive blast operations with multiple blasting work shifts per day will require a full reclaim floor design and a specialized material handling system. 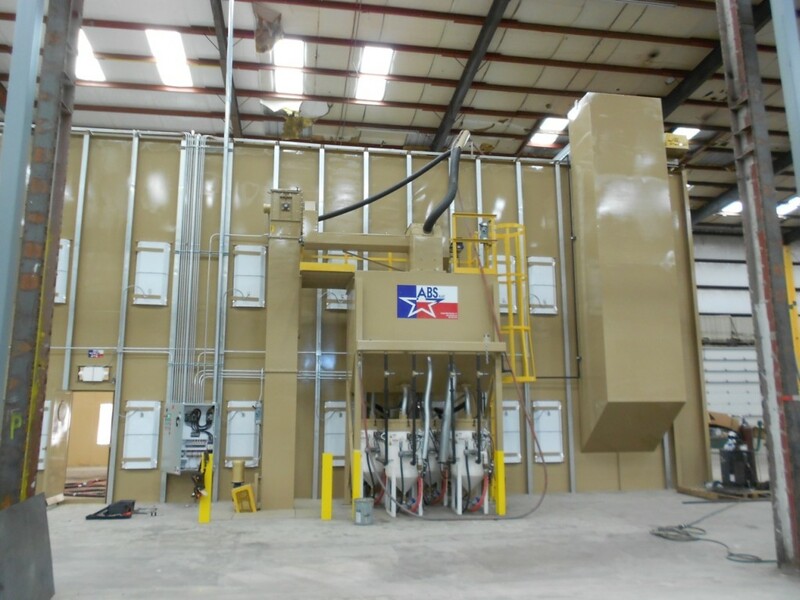 Lower volume operations can use one of our partial reclaim systems. Production volume and work piece handling requirements dictate the blast room configuration selection. 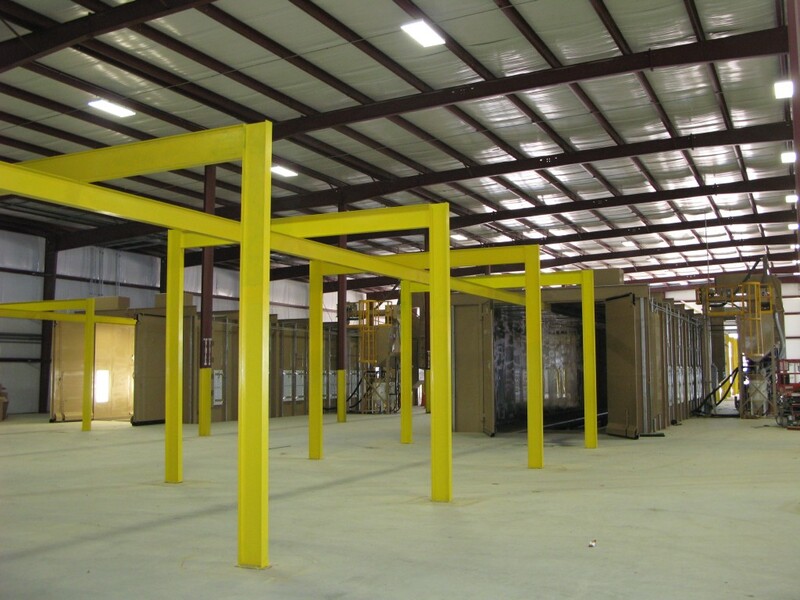 High volume rooms will benefit from a flow-through design with overhead monorail or in-floor material handlers. Light to medium volume abrasive blast operations can take advantage of more cost conservative in/out designs. 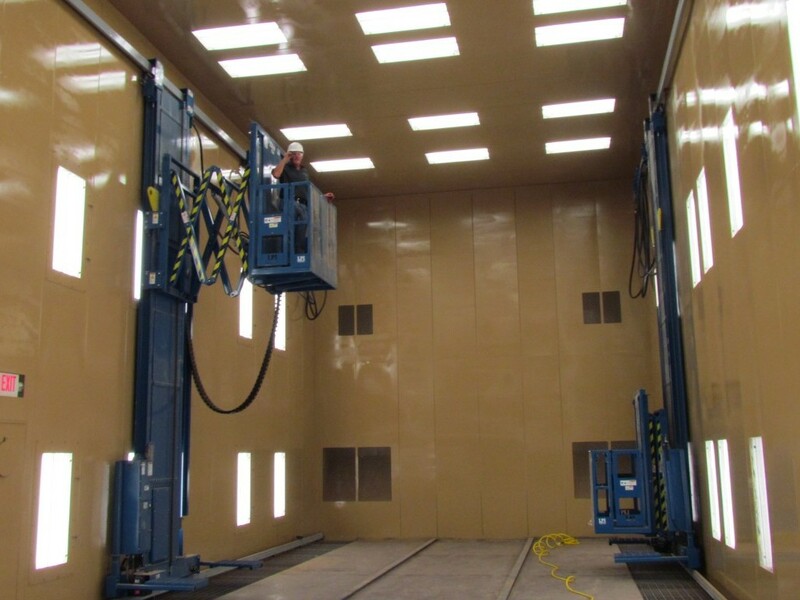 ABS Blast has the experience and expertise to handle all of your Abrasive Blast Room Design needs. Contact us to discuss your Abrasive Blast System consultation.